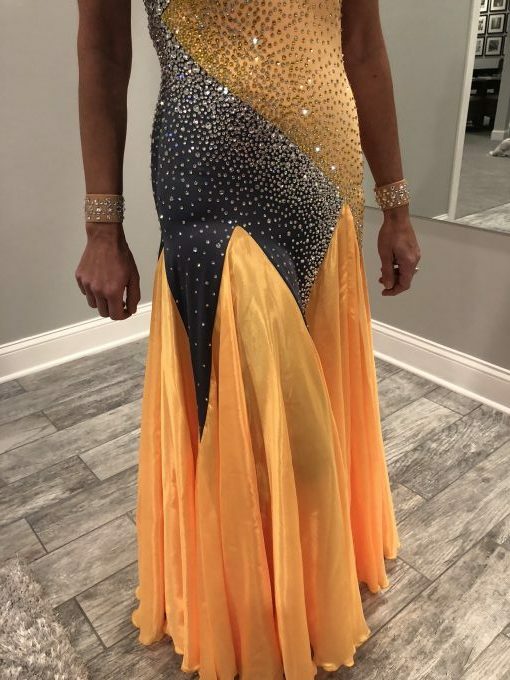 A striking color combination by Chrisanne is the starting point of this smooth ballgown. 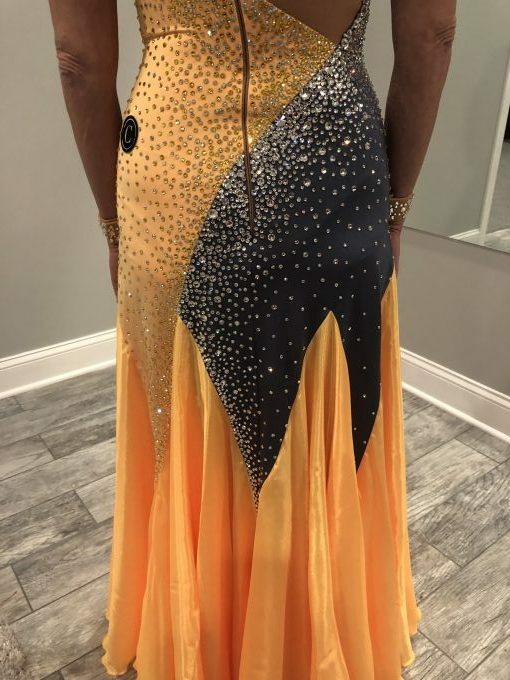 The entire bodice of this dress is covered in various sizes of Crystal and Crystal AB Swarovski rhinestones. 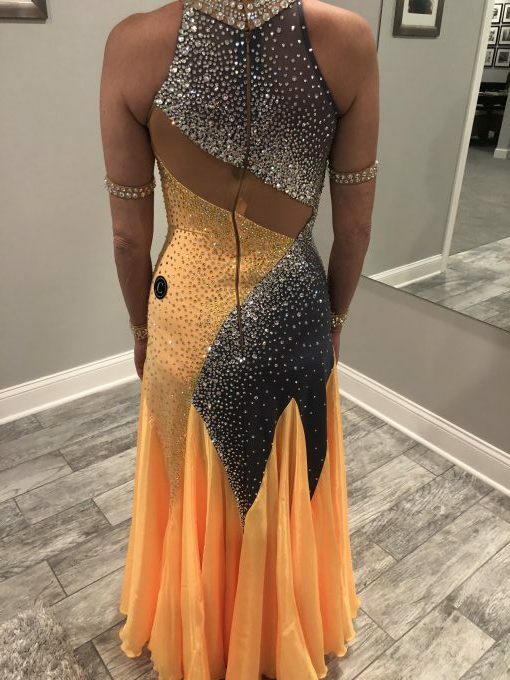 This dress will pop off the floor, shimmering from every angle. Skirt is full and light, making it perfect for all of your smooth footwork. Arm bands finish the look. Fits sizes 2-6.